Say “I do” with a difference at these five-star Thai properties. From turtle release experiences, underwater proposals, remote temple blessings, flying lanterns and traditional Thai drumming, the AKAYRN Hotel Group will take a couple’s big day from rather special to completely extraordinary. The hotel group has created a range of unforgettable wedding experiences across all of their beautiful Thailand hotels for those looking to say “I do” with a difference. At Aleenta Hua Hin, located on the Gulf of Thailand, couples can experience an authentic Thai themed wedding ceremony in a lavish private villa or opt for a tranquil beach wedding overlooking the Andaman Sea, followed by a delectable Thai wedding feast to share with family and friends. Couples can also add a touch of Thailand into their wedding with a traditional long drum procession, or a private monk’s blessing, in order to immerse themselves into the local culture on their big day. 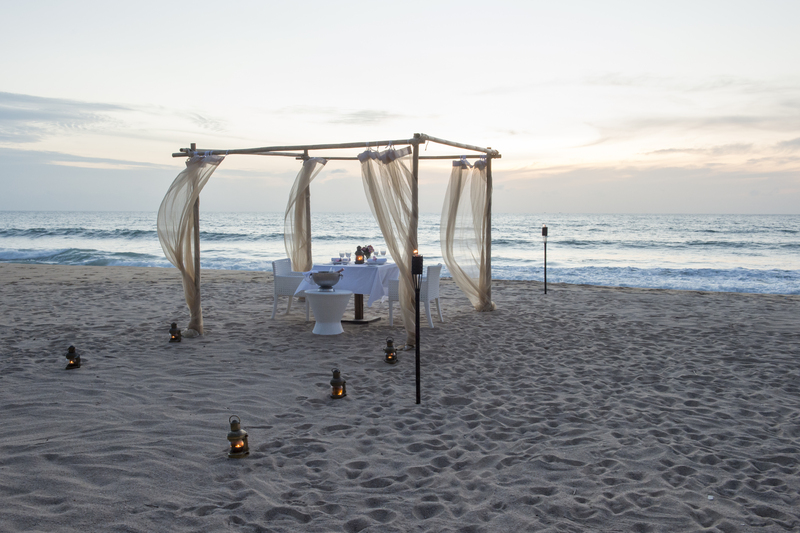 Located on another stretch of stunning, sand-fringed coastline overlooking the Andaman Sea, sister resort, Aleenta Phuket offers idyllic wedding ceremonies on the soft golden sands of Natai beach or in private Grand Villas for ultimate intimacy. 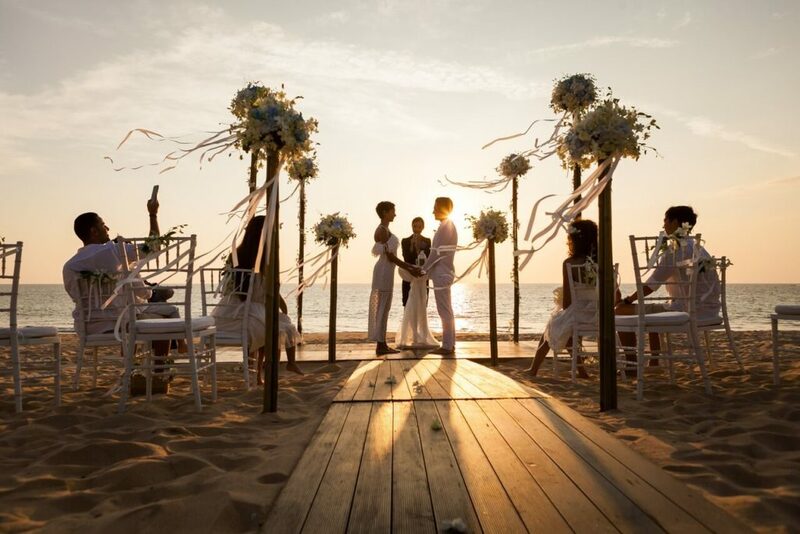 With a personal wedding planner on site to help guests organise their dream wedding every step of the way, Aleenta Phuket provides a variety of personalised wedding and engagement packages uniquely catered to each couple’s wishes. From a heavenly ceremony, the perfect dress, beautiful decorations and the ideal music, photographers and makeup artists; Aleenta Phuket leaves couples carefree by planning even the finest of details. 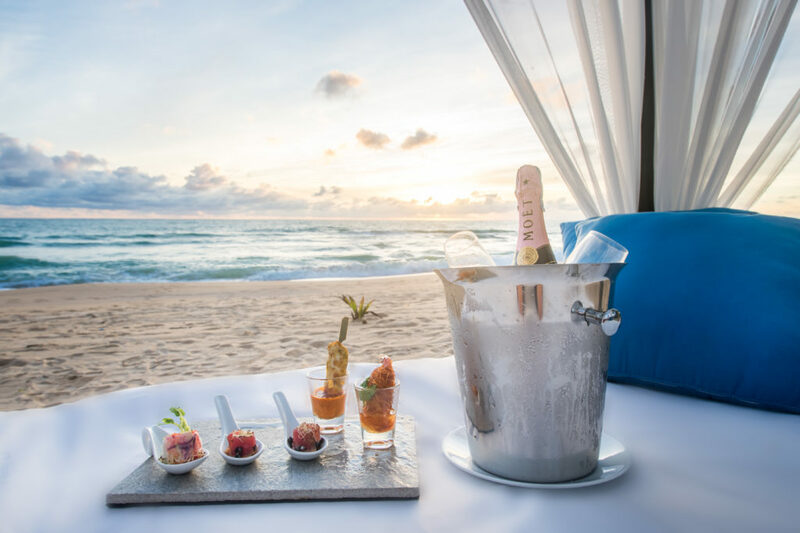 Highlights of these packages include pre-wedding spa treatments, flying lanterns, original art installations, turtle release experience, romantic candle lit dinners and a traditional Thai water pouring ritual. Neighbouring akyra Beach Club Phuket is a stylish and contemporary waterfront resort and wedding destination which promises to lift the spirit and calm the soul, located just 400 metres along the beach from Aleenta Phuket. 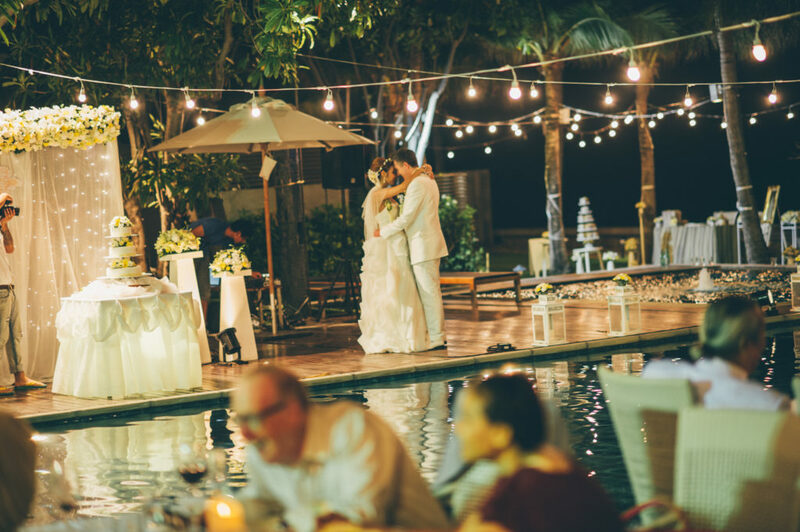 Weddings at akyra Beach Club Phuket are ideal for those happy couples that want a romantic wedding combined with a lively, sophisticated party for the ultimate celebration of love. Couples can host the ceremony on the resort’s picture-perfect secluded beach by the glittering Andaman Sea, or in the exotic gardens nestled in the tropical beauty of Southern Thailand. After the ceremony, couples and their loved ones can relax in the chic Beachfront Pool area, where luxury loungers, cushioned cabanas, beach bar delights and live DJs combine for a wedding party to remember. For something different, couples can tie-the-knot at the coolest new, all-suite hotel in Northern Thailand, akyra Manor Chiang Mai, to experience the best of Thai hospitality within a bustling city. 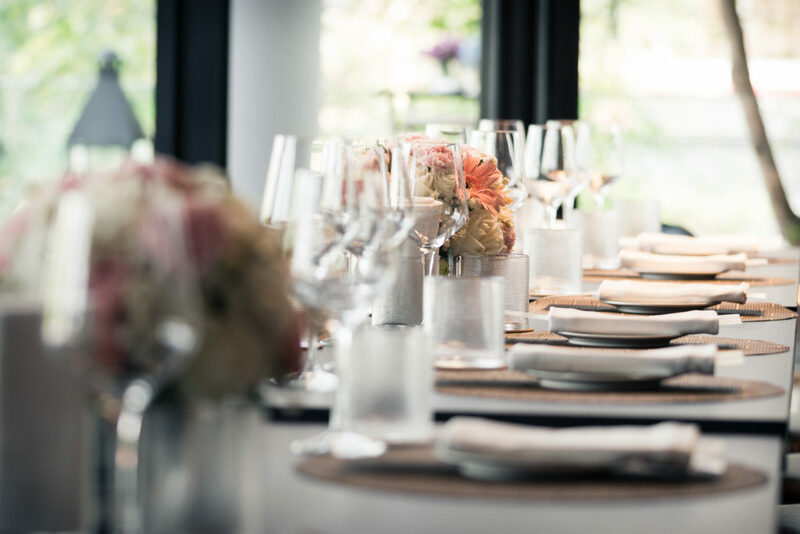 Sunset weddings can be held on the chic RISE Rooftop, for an urban wedding overlooking the city, in the Private Salon for an elegant event or Italics Restaurant for fine-dining enthusiasts. The resort’s expert team take the stress out of guest’s hands and prepare bespoke wedding experiences, including show-stopping cakes, DJs, beautiful flowers and top-tier stylists and makeup artists. Adding to the magical experience, couples can also indulge in in-room massages, gourmet breakfasts and a traditional Thai or Western wedding blessing. As well as this, located in a part of the country famous for trekking, remote mountain temples and incredible wildlife, akyra Manor Chiang Mai’s jungle location offers access to some of the most majestic views and landmarks in Thailand to explore after the special day.